The fifth race in the HARRA Spring Series. This is the 52nd running of the oldest race in Texas. You can boast on Sunday morning that you ran on the same track as Olympic Medalists Clayton Murphy and Matt Centrowitz and that you finished in the same time as Houston’s premier runners.Run as many RPMs (laps) as you please in 33:20. Pre-LP lbs weigh-in for Clydesdales and Rubens. The race course is around a beautiful 400 meter bouncy synthetic track – no asphalt or concrete or pot holes! Run at Rice University. By arriving early or staying late, the rare opportunity exists to actually watch some of Houston’s best runners. By mail: Postmarked by April 20th, 2019 $35.00 (HARRA: $34), $25 PIM, $20 Students (with ID). Postmarked after April 20th, 2019 $40.00 (HARRA: $39), $28 PIM, $23 Students (with ID). In-Person: Pre-registration for the 2019 LP Run will take place at the Bellaire Trolley Run – from 7:30 to 10:00 am on April 13, 2019 at 7008 South Rice Avenue (in front of Bellaire City Hall). 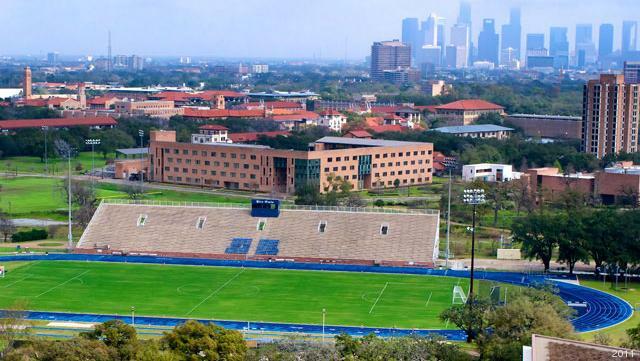 Saturday April 29, 2019 (Race Day) Rice University Track Stadium, After 4:00 pm; Registration closes 30 minutes before each heat! Printable Entry Form Just print, fill out the 2019 Entry Form and mail it to the address listed. Limerick Competition Awards to the entrants with the best limericks. Unlimited entries accepted. Starting at approximately 6:20 pm and sandwiched between the Men’s Race (5:30 pm) and Women’s Race (6:45 pm) is another LP Run – the Inaugural Little Pheidippides Run – a noncompetitive 1 lap run/walk around Rice Track for kids of all ages. Registration is on Race Day with a modest fee of $2. Awards to all finishers! Trophies awarded in the Men’s Race and in the Women’s Race to the club whose members complete the most distance. Each entrant is assigned a lane based on the age group of the entrant. Each entrant is responsible for keeping track of their total laps run. The best way is to bring a companion who can keep count from the bleachers. Lap sheets will be provided.